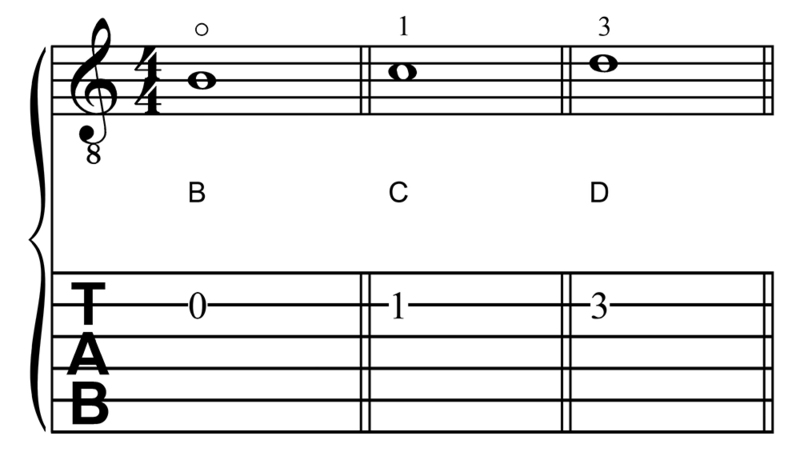 The first three notes on the second string in first position are B, C, and D. C is almost always fretted with the first finger, while D is most often fingered with the third finger, though these depend on the context. It is best to learn these notes with the default fingerings. The location of these notes is shown in the following example. 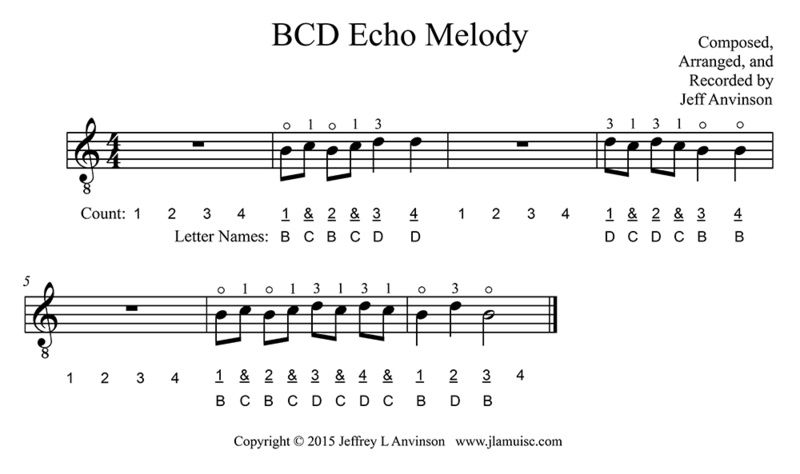 The music shown below, BCD Echo Melody, will give you some practice with these three notes. There are measures of rest in the first, third, and fifth measures of this piece so count to four in each of these measure while you refrain from playing. (You will hear the echo from the harp in the third and fifth measures.) Below the music are two accompaniment tracks, one slow and one fast. Practice using the slow one first until you are confident that you can play it faster. Then play along with the faster track. If you are listening in stereo, the guitar part is on the right channel and the accompaniment is on the left. Turn the balance to the left or right to hear one or the other; set the balance to the middle to hear both. I hope you enjoy playing "BCD Echo Melody"!